[0:12] <girafe> is the new raspberry pi ? [0:14] <MY123> girafe: The new Raspberry Pi has gone to market a week ago(model B+). FR notice: Merci de parler avec un meilleur anglais la prochaine fois. [0:58] <aka> Does anyone suggest steps or a guide to trouble shooting a rpi that doesn't work with camers? I have 2 rpi's and on one two different camera work and on the other the two cameras do NOT work. [0:59] <shiftplusone> what does vcgencmd get_camera say? [1:00] <MY123> aka: What does say vcdbg log msg when you try to use raspistill ? [1:02] <MY123> beng1: Vcdbg log msg say about OOM events. [1:02] <shiftplusone> so i2c works and it's finding the camera. What happens when you try to use it? does the LED come on, do you get an error? what does your config.txt look like? [1:03] <MY123> shiftplusone: Don't try too fast, see the logs before. [1:09] <MY123> aka: The build-date ? [1:13] <aka> error=2 error_msg="Invalid arguments"
[1:13] <MY123> aka: Try to sudo raspi-config and enable RPi camera. And reboot. [1:18] <shiftplusone> are they both model b rev2? [1:21] <MY123> aka: Are they made in Wales ? [1:21] <MY123> aka: So rev2.1 . A defective Pi? [1:23] <MY123> shiftplusone: If it is The Big Nasty Blob Based on ThreadX by ExpressLogic With Broadcom (R) Drivers, that is bad. [1:24] <MY123> shiftplusone: Sorry if it's a little too harsh. [1:24] <shiftplusone> I don't care, I've never liked closed blobs. [1:27] <MY123> shiftplusone: Is there a TPM in the BCM2835 ? With the BCMICS stack headers, there is one. [1:28] <MY123> shiftplusone: I know the response, there is one which is enabled on the RokuII but disabled on a Pi. [1:29] <MY123> Was just a quizz. [1:39] <koell> shiftplusone: can you give me that bread site from gordonDrogon once again pls? [3:08] <MY123> [Saint]: Currently working on Freeblob. [3:10] <MY123> And it's 2AM currently. Good night. [3:29] <MY123> ShorTie: Except if you are in a country , where ANYBODY sleep before 3AM and wakes before 10AM. [3:54] <Anthaas> Hi guys, could a raspberry pi run as an XMPP server? [3:55] <MY123> Anthaas: It works fine and use very little CPU. [3:56] <Anthaas> Thats XMPP as in the IM protocol, yes? [3:57] <MY123> Anthaas: Yes, the chat protocol, set if following the Debian procedure, like a PC without any modification. [3:59] <MY123> Anthaas: Program exactly like on a PC. A PC program can be recompiled to work on a Pi. [3:59] <MY123> *except a few cases like OpenGL desktop. [4:05] <MY123> Anthaas: It is useful to say that you can recompile a Windows app if you have the source code to work on a Pi(Wine for ARM). I can publish a download link. [4:10] <MY123> Anthaas: ICE was an old name for one of my Win32 programs. I just used Wine to port it on a Pi. [4:12] <Anthaas> Right - anyone here mind helping set this thing up, so I can start working on the app? [4:13] <MY123> ukscone: Lua is fine , but is very far from a beginner language and use some principles from Visual Basic. [4:15] <MY123> ukscone: Bizzare. I'm nearly the only one using Wine for ARM for useful work (porting OpenSource windows apps). [4:17] <MY123> I got trained on C and Java1.3 but C++ and recent Java are much different. [4:22] <MY123> Anthaas: No problem. I'm an experienced user and never opens the GUI, except for watching pictures(but setting the res and bpp then cat image.raw > /dev/fb0 also works). [4:30] <MY123> Anthaas: do a sudo -s to cd in the folder. [4:32] <Anthaas> Is an IP address an acceptable FQDN? [4:34] <MY123> Anthaas: Hope that you learned to use that file on Windows, it is in system32 there. [4:34] <Anthaas> Ahh cool - so if I, for example, have my raspberry pi (also localhost on here) as 192.168.0.3 I could enter this in here and give it a domain name, e.g. example.com and use that instead? [4:35] <Anthaas> could just be "johnsmith"
[4:36] <MY123> Anthaas: It is better to use localdomain as domain. You can do without domain but XMPP will not work then. [4:36] <Anthaas> so in the cfg file, what do I put as the host? [4:37] <Anthaas> currently says VirtualHost "example.com"
[4:39] <Anthaas> Ok, currently it says: Component "conference.example.com" "muc"
[4:40] <Anthaas> Do I change this to something within the hosts file? [4:40] <MY123> [Saint]: Do you know how to use MagicKeys? Or running 'sync' frequently. [4:41] <MY123> Anthaas: do a man hosts. [4:42] <[Saint]> I have my editors set to autosave after each edit, but something fell over in the background and it wasn't saving my working history. [4:42] <[Saint]> Normally a sudden powerdown or lockup wouldn;t be an issue. [4:42] <[Saint]> But something fell over that borked my auto-saving and history. [4:44] <MY123> [Saint]: Does your PC stalls on Microdollar Windows? It may be a bad driver. [4:45] * [Saint] hasn't used Windows in half a decade. [4:46] <[Saint]> I would rather kick myself in the face. [4:47] <MY123> [Saint]: Have not used Windows since 2000/XP. But at that time, buy good hardware or no graphics or Kernel Panic. [4:51] <MY123> [Saint]: It is a very bad time to buy a new PC. Because of Trusted Computing 'Secure boot'. [4:54] <[Saint]> Yep. Laptops too. [4:55] <[Saint]> I have several laptops I have built by hand. [4:55] <treats_> has anyone here played with the camera yet? [4:57] <MY123> [Saint]: In France, even motherboards which one can buy have Secure Boot. Currently using Coreboot-supported HW. [4:58] <MY123> treats_: Try with the USB fixes. You can then use $INSERT_NAME_OF_USB_CAMERA. [5:00] <MY123> Anthaas: Android , iOS , Meego, Tizen, or Symbian ? [9:28] <jasabella> how 'robust' is the picamera stack? [10:42] <gordonDrogon> Walther, it's the same controller - just the 4-port version. [10:42] <gordonDrogon> Walther, do make sure you're up to date with kernel & bootloader though. There have been many changed in recent months to the USB code. [10:43] <gordonDrogon> Walther, also - check your PSU - the B+ has improved power handling which might help marginal power supplies, but there is no substitute for a good quality PSU for the Pi. [10:52] <gordonDrogon> Walther, the latest kernel is 3.12.22+ #691. [10:55] <gordonDrogon> nothing at the hardware level, other than improved power handling - e.g. it can source 1.2 amps out of its USB ports if needed. [11:03] <P-NuT> Hi all, I know how to extend the root partition of raspbian to the whole card, but is there a way to tell it only to grow to a moximum of 4gb? [11:05] <gordonDrogon> you just need to be careful when manually changing the partition size. [11:06] <gordonDrogon> although I think if you put the SD card into another PC and run e.g. parted on it, then you can do it via a GUI. [11:09] <P-NuT> but if it's in the Pi already and using the / partition how are you going to run fdisk to resize it? [11:19] <gordonDrogon> well - do check the partition numbers - if it was a Noobs install, there will be others. [12:29] <SpeedEvil> vodka: what do you mean? [12:29] <shiftplusone> vodka, console or X11? [12:38] <vodka> rigid i can achieve this with the link you provided me ? [12:40] <mgottschlag> what do you want to show? [12:40] <mgottschlag> ah, static images? [12:56] <Encrypt> Has anyone played with MPI on multiple Raspberry Pis here? [13:02] <RahulAN> is there any guide to interface fingerprint module with rpi? [13:05] <RahulAN> It have tx and rx pins in this module can we interface it serially? [13:06] <gordonDrogon> RahulAN, Yes, but the Pi's serial port is 3.3v. [13:07] <RahulAN> so how to make it compatible? [13:07] <gordonDrogon> so if the fingerprint scanner is also 3.3v then you'll be fine - else you may have to either use an adapter circuit for a "proper" serial interface or a resistor divider for a 5v ttl one. [13:08] <gordonDrogon> RahulAN, don't know how to make it compatible because we don't know what voltages it outputs - only you have that information right now. [13:08] <RahulAN> Okk. I will give this try tommorw. [13:10] <pksato> RahulAN: you have a link to datasheet of the module? [15:44] <skulltip> do ARMS not support flash codec, meaning alot of youtube videos will fail? [15:46] <shiftplusone> eh? flash codec? youtube? ARMS? lots of stuff wrong with that question, not sure where to start. [15:57] <skulltip> not yet, looking at banana pi though. might fit what i'm looking for. [16:02] <leio> but probably out of luck for ARMv6 unless using alternatives than adobe flash or pepperflash. [16:03] <leio> so, flash works on ARM, but probably not the old version RPi uses. [16:06] <iceCalt_> What do you mean by old? [16:06] <tanuva> Wasn't that canceled altogether when they pulled flash from android? [16:06] <iceCalt_> The model of rpi? [16:07] <leio> raspberry-pi (RPi) uses an ancient ARM architecture family known as ARMv6; most proprietary things ignore that, and only support ARMv7 and upwards, which has neon instructions and new/different general instructions (iirc); so those binaries don't run on an ARMv6. [16:09] <leio> didn't adobe support some ARMs at some point as well? [17:27] <LordThumper> Hi, does anyone know what component I could get to replace the MicroUSB port in the old B model? [17:33] <Juxtapositional> Have you tried a different cable? [17:34] <Juxtapositional> Yeah the ports on the pi are somewhat flimsy. [17:34] <LordThumper> gordonDrogon: Is that compatible? [17:35] <shiftplusone> sd slot... sure... everything else? [17:35] <Juxtapositional> Prone to failure. [17:35] <gordonDrogon> was where I got that link to RS from. [17:36] <shiftplusone> not really. The SDL slot is rubbish, some people use the capacitor for leverage, but everything else takes some effort to damage. [17:38] <LordThumper> Or do you get random reboots? [17:42] <shiftplusone> No electronics you could steal them off? [17:43] <LordThumper> Is a PI not booting all the time (red LED) caused by a bad SD Card slot? [17:44] <LordThumper> What color is that? [18:26] <lost_soul> hmmm, now I'm even more confused.. someone said they thought my power problem might be the result of the remote sensor drawing to much power and said hooking it up via a powered usb hub might help. After plugging the hub in to the Pi it turns on even though the microusb PSU isn't plugged in. [18:29] <lost_soul> this conversation is likely better suited to #hardware but I figured one of you guys may have experienced similar? [18:35] <gordonDrogon> lost_soul, a Pi model B/2 will be back powered by most usb hubs. [18:44] <lost_soul> I may be being overly cautious, but I just can't afford to fry it as I have no cash to replace it currently. [18:44] <gordonDrogon> lost_soul, if you plug both PSUs in, then it will probably work OK.
[18:45] <gordonDrogon> in theory, one PSU might back-feed into another if it's higher voltage. [18:45] <lost_soul> gordonDrogon: possible fire hazard? [18:45] <gordonDrogon> hard to tell - it depends on the PSU. [18:45] <gordonDrogon> I have done it myself in the past with now fire (and no other side-effects), but maybe I was just lucky? [18:46] <gordonDrogon> I suspect most people do it with powered hubs without even knowing that the hub is back-powering the Pi. [18:46] <lost_soul> gordonDrogon: I'll give it a try and keep a close eye on it. Thanks for the input m8! [18:46] <gordonDrogon> The B+ has widgetry to protect against this though. [18:46] <lost_soul> will purchase one when I'm able to though. They look quite nice. [19:18] <Kake_Fisk> If I have already set an static ip on my raspberry on a different network and that ip is not valid on this network. Do I have any chance to connect to it without connecting a screen and keyboard? [19:23] <gordonDrogon> I keep all my Pi's on static IPs - although the rate times they're off my soho LAN, I direct connect to my Laptop and adjust if needed. [19:28] <pksato> if know ip, just set other host with ip on same network. Easy to do it on linux. need more effort on others OSs. [19:29] <pksato> if have root or admin access. [19:33] <DanDare> Hello. Im going to try to write raspbian image onto the SD card. The image contains the partition table of what size of SD card? 8GB? [19:35] <Twist-> DanDare: Last time I went to the store, I couldn't find anything smaller than 8GB, so it's becoming a moot point. [19:36] <Twist-> DanDare: You'll see an option to expand the partition on the SD to the size of the card during your first boot and initial confguration. [19:36] <DanDare> lost_soul, ok thanks. But considering theres just 1 version of the image, the partition table contains the partitions sizes etc. I wonder if im going to be able to resize the partition after installing it. [19:37] <Twist-> DanDare: they've got a little curses config app that launches on first boot. [19:37] <lost_soul> DanDare: some distributions ask you if you want to resize them at the end of the install.. I've never actually used raspbian so I can't say whether that does or not. [19:45] <DanDare> pi doesn't have internal voltage regulator, right? So I will need some good external adapter? [19:47] <lost_soul> DanDare: which Pi did you get, the B+? [19:49] <lost_soul> I have had oodles of problems with power on my B even with a 5V 2A supply. I've just today added a powered usb hub which apparently is adding more power to it which will hopefully rectify the issue I have been having. [19:50] <lost_soul> I'm not saying you'll have these problems, but choosing a good PSU isn't always the easiest thing in the world. [19:53] <DanDare> lost_soul, interesting. Maybe noise on the power supply? [19:57] <lost_soul> I have two supplies I've tested, each of which had about 4.25V when tested on the test locations on the Pi.. haven't checked since I plugged in the powered usb hub, will be doing so a bit later this evening. [19:58] <DanDare> lost_soul, how do you know problems you have are related to power? [20:00] <lost_soul> DanDare: well, for one power is a huge problem people face with the Pi so statistically it is more than likely what is causing the freezing I experienced. [20:01] <lost_soul> and I'm only attaching one usb device (just the remote sensor). I've swapped out PSU's, sdcards and basically everything else I thought of that might be at fault. Once I saw the voltage levels on the Pi power also made the most sense. [20:02] <DanDare> lost_soul, you got B+ ? [20:02] <lost_soul> DanDare: I tested with two supplies, one I built from an external hdd supply and the charger for my nexus 10. The charger for the Nexus actually provides less power even though it is a newer unit. [20:04] <DanDare> lost_soul, tried other operating system than you normally use ? [20:04] <Twist-> DanDare: The two power issues you're likely to encounter are a) power fluctuations from cheap USB adapters causing instability in the pi itself. b)instability by USB devices trying to draw more power than is left over after the PI takes its cut from the incoming 500ma. [20:07] <Twist-> b.1) watch out for cheap powered hubs that backpower/backvolt the usb controller in violation of the spec. [20:07] <Twist-> b.2) this is bad for computers, but amusingly, the Pi can power itself this way. [20:09] <lost_soul> DanDare: yea, I know very little about the Pi or the ARM architecture. The people in here have been great helping me through the issue. [20:10] <Twist-> or just get a low noise usb charger. I like apple for this. [20:12] <Twist-> I swapped in a leftover charger from a bose headset.. *bam* stable for two weeks now. [20:12] <lost_soul> DanDare: I'm not good enough with electronics to tackle something like that... at least not without a youtube video or some really good documentation (with pictures) to walk me through it. [20:12] <DanDare> pi B rev1 is much worse than rev2 in regard power supply ? [20:13] <DanDare> or SD corruption ? [20:14] <Twist-> lost_soul: does your board have mounting holes and 512meg ram? [20:14] <Twist-> the reva had no mounting holes, and only 25g meg. [20:16] <Twist-> DanDare: Those are the differences I just called out. [20:16] <DanDare> Oh, mine has 512MB, so its Rev2.0 ? [20:19] <Twist-> DanDare: what's your application? [20:20] <DanDare> Twist-, you mean, what im going to use pi for ? [20:23] <DanDare> I think I will end with a set of SD cards with system setup for each "mode"
[20:24] <lost_soul> DanDare: you might like to look at openelec if you are considering using it as a media center type system. It is very nice. [20:26] <Twist-> DanDare: heh.. I do enjoy the pile of SD cards for separate projects. It's powerfully nostalgic. [20:28] <ShorTie> when did you order your pi DanDare ?? [20:30] <lost_soul> the ethernet is still on the usb controller even on the B+ isn't it? [20:31] <Twist-> DanDare: But cheap is the main feature of this thing. You get astoundingly better hardware if you move into the $50 range. [20:31] <Twist-> mm.. cheap is the second main feature. [20:31] <msodrew> Amongst the other distro’s offered besides Raspbian, what others are really good and why? Are they worth giving a shot? [20:33] <Twist-> lost_soul: ooer. sata port. [20:51] <DanDare> gordonDrogon, yeah, unfortunately. We are dumb in many aspects in this area. High importation taxes yet no incentives to develop our own production (again, high taxes on production among other barriers). [21:30] <Alex_TNT> hello can someone help me with my raspberry? [21:36] <gordonDrogon> Alex_TNT, is the lcd the adafruit one? [21:36] <gordonDrogon> ah right. similar. [21:37] <gordonDrogon> I've no first-hand experience, but it doesn't surprise me that you can only use one or the other, but not both. [21:37] <gordonDrogon> you may be able to start X on each one though or have a look at xrandr to see if that can combine them. [21:38] <gordonDrogon> I've only done dual-screen on my desktop - and that was a few years back. [21:41] <gordonDrogon> did you remember editing a file /etc/X11/xorg.conf ? [22:10] <staar2> I want to build temperature monitor network, at least 2-3 sensors based on radio freq. So on the sender side there should be one receiver and three senders. What would be the cheapest and energy efficent way to build such system ? [22:11] <MY123> staar2; CAN bus ? [22:11] <staar2> what you mean ? [22:18] <staar2> what would be the minimal hardware needed for the temp sensor, I do not want to but there RPI, some arduino mini would be better ? [22:20] <Twist-> but has the advantage of having very well documented example code for every phase of your project. [22:22] <pksato> staar2: a arduino/picduino or other micro controler to collect data (temperature) and send via 433MHz TX to RPi, RPi show data on fancy monitor. [22:23] <staar2> what voltage 'micro' needs could be that powered from battery ? [22:27] <Twist-> of course someone's done it already. heh. [22:35] <Alex_TNT> how to make the startx show on hdmi? [22:48] <Twist-> DanDare: it is. the broadcom CPU and the RAM are stacked. [22:59] <gordonDrogon> DanDare, is it a B+ ? [23:01] <gordonDrogon> does it have 2 holes in it? [23:01] <gordonDrogon> it's a rev 2. [23:02] <gordonDrogon> it would be the audio out. [23:02] <gordonDrogon> OH that one. it's the jtag interface. [23:02] <gordonDrogon> basically nothing you can do with it. [23:03] <gordonDrogon> there are some test points on it, etc. [23:04] <gordonDrogon> you can safely ignore it too - unless you really need 4 more gpio's. [23:04] <gordonDrogon> yes, you're expected to solder one one - on the underside of the board FWIW. [23:05] <gordonDrogon> it's uses by the wolfson audio board which uses pogo pins to connect to it. [23:06] <gordonDrogon> you can boot it without them - but you'll need it connected to the LAN and to know how to get its IP address. [23:06] <gordonDrogon> that's assuming you have Raspbian on the SD card - noobs does need the screen+keyboard. [23:07] <gordonDrogon> I think it might be the reset links though - there was talk of putting an external reset link on the board. [23:08] <gordonDrogon> raspi-config is the initial config thing. [23:20] <DanDare> Why raspbian image contains a boot FAT partition? I can imagine its to make people's life easier about the configs there? [23:20] <gordonDrogon> the gpu boos of a FAT partition. [23:20] <gordonDrogon> it only knows how to read FAT. [23:21] <gordonDrogon> so the linux kernel is in the FAT partition, the GPU loads that then starts the ARM. [23:23] <gordonDrogon> yes, so for the most part we only see a fraction of what it can really do. [23:23] <gordonDrogon> but the gpu does the camera and the video decoding, etc. as well as playing quake 3 at 30fps. [23:24] <DanDare> so it have hardware codecs inside ? [23:24] <Encrypt> I imagine it should be fine with the Raspberry Pi? [23:24] <lost_soul> DanDare: did your Pi show up yet? [23:25] <gordonDrogon> DanDare, the 'hardware codecs' are really software that's part of the gpu's boot. [23:25] <DanDare> Encrypt, how a remote screen? Like vncserver ? [23:26] <DanDare> Encrypt, im confused now. Its not just a matter to connect it using the HDMI or the composite video ? [23:27] <DanDare> so boot partition upload the code to GPU and it becomes transparent to the OS, like it was hardware decoding ? [23:31] <gordonDrogon> DanDare, it's not really possible to use gpio for composite video. [23:31] <gordonDrogon> DanDare, however there are framebuffer screens avalable for it - e.g. Adafruit. [23:32] <gordonDrogon> they use the SPI port on the GPIO. [23:32] <gordonDrogon> sure - but it has somewhat more predictable timings. [23:40] <Halbard> Hi, I have a small PC beeper that I want to connect to RPi GPIO pins to produce sounds. I was searching for solutions on the net but none of them worked, any advices? [23:41] <gordonDrogon> Halbard, identify the beeper - does it need a square wave sent to it, or just power to make a single beep? [23:43] <gordonDrogon> Halbard, if it needs a square wave you can use the PWM output to drive it in tone mode, or the softTone package in wiringPi. [23:45] <gordonDrogon> there is details there how to use the pwm output to play tones. 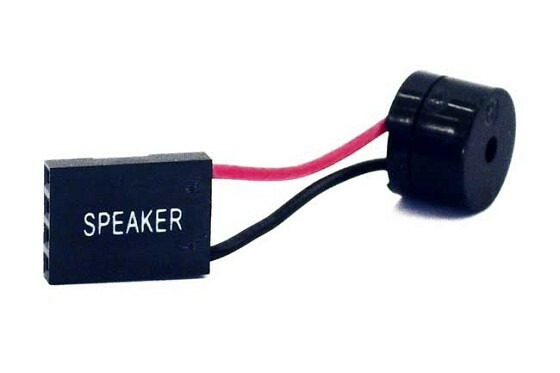 [23:47] <pksato> small pc speaker, it is not a beeper. [23:47] <spike> if I were to buy a brand new Pi but not have a monitor to hook it up to right away, could I still turn it on and SSH into it? [23:49] <gordonDrogon> spike, you'll need wired ethernet to get going initially. [23:49] <gordonDrogon> spike, but you can configure wi-fi after that. [23:50] <gordonDrogon> spike, just make sure you put Raspbian onto your SD card and not noobs. [23:51] <spike> gordonDrogon, oh? 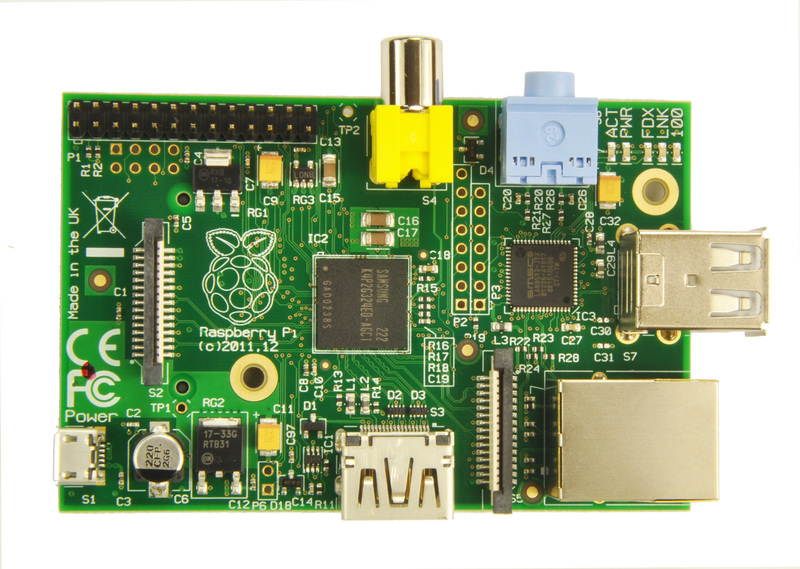 why is Raspbian better? i thought noobs is pre-installed on the SDs that they actually sell? [23:52] <gordonDrogon> spike, noobs needs screen/keyboard to boot initially. [23:58] <MY123> spike; You can UART connect to a shell using NOOBS.